Ranthambore is located in District Sawai Madhopur of Rajasthan state, northern India. It is one of the most popular destination among the tourists for its variegated flora and fauna, wildlife safaris, bird watching, walking tours, and numerous other hidden gems. 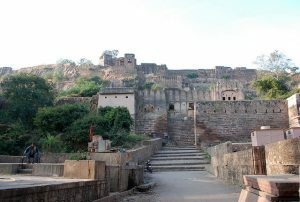 There are many breathtaking places to visit in Ranthambore National Park, including the fort, palace, lakes,temple, etc. It is also perfect place for a weekend adventure, it is also a place to come close and personal with the nature. 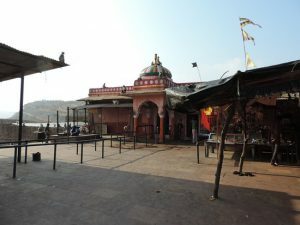 Situated inside the Ranthambore Fort, this temple houses an idol of the Trinetra (Three-Eyed) Lord Ganesh,and is one of the amongst oldest temples in Rajasthan. One of the most unique and oldest temples in Rajasthan, here, you can find the deities or statues of the entire family of Lord Ganesha. This fort without any doubt is one of the most prominent places in Ranthambore National Park. It is a World Heritage Site, which further enhances it as a very valuable historical monument. The fort cites triumphant stories of the Chauhan dynasty, and this palace was the resting place for the kings of the past after their hunting time. 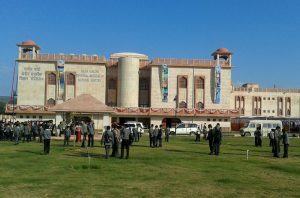 This museum is India’s fourth regional museum of natural history and has exhibits of rare plants, animals and, geology of the Western part of India. The museum has been established with the motive to create awareness among the public about the importance of preserving the rare flora and fauna of the area. Ranthambore national park have a wide range of wildlife collection which will make your eyes get amused. 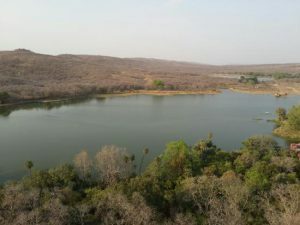 This particular national park is considered to be one of the greatest places to visit in Ranthambore. Jeep safari is a best option to go deep into the jungles to meet the inhabitants closer and feel good. Jeep or canters are allowed inside the camp and at a time four jeeps or canter can go inside and not more than 16 jeeps will be allowed to go inside the park a day. 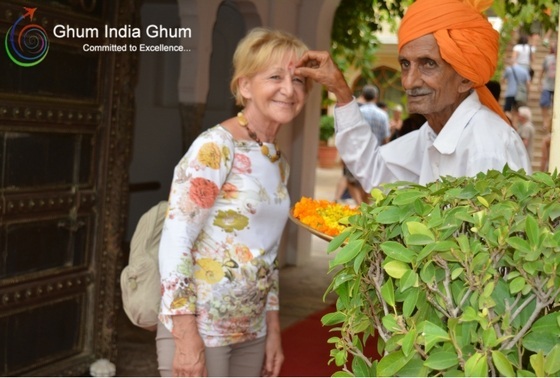 Jeep safaris, book your safari with Ghum India Ghum which can can be done either in the morning or in the evening at a mentioned time. The jeeps have to follow a fixed route to enter into the deep forest. Open grasslands, ruins of monuments etc which provide many opportunities to have a great time inside the park. Ranthambore is famous for its rare collection of wildlife. It is a great spot for photography as well. When you plan to visit to this park, you can spot ruins of many ancient historical monuments, valleys, thick forests, and museums. Wildlife safaris on jeep and canter safari are a major attraction inside the park. 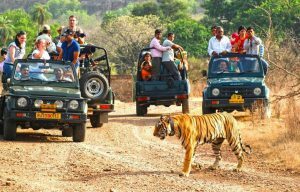 Confirm your Ranthambore tour packages with Travel agent in Delhi.